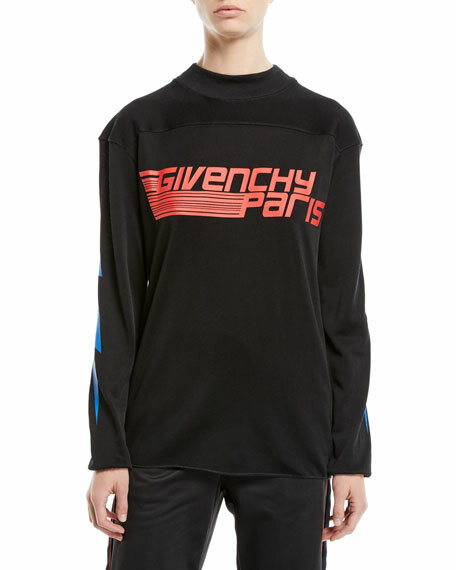 Givenchy shirt in tech jersey with graphic sport logo print. 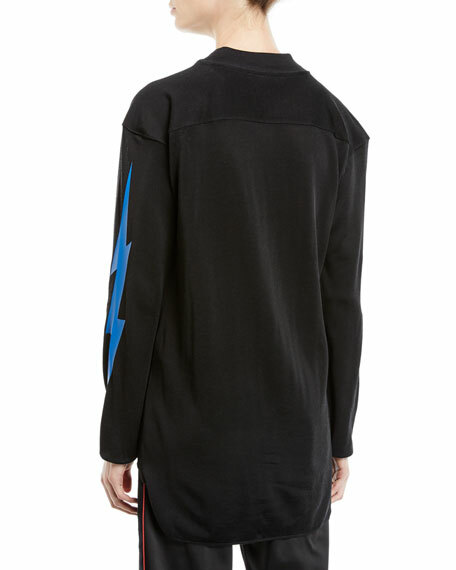 Long sleeves with lightning bolt graphic. For in-store inquiries, use sku #2562015.